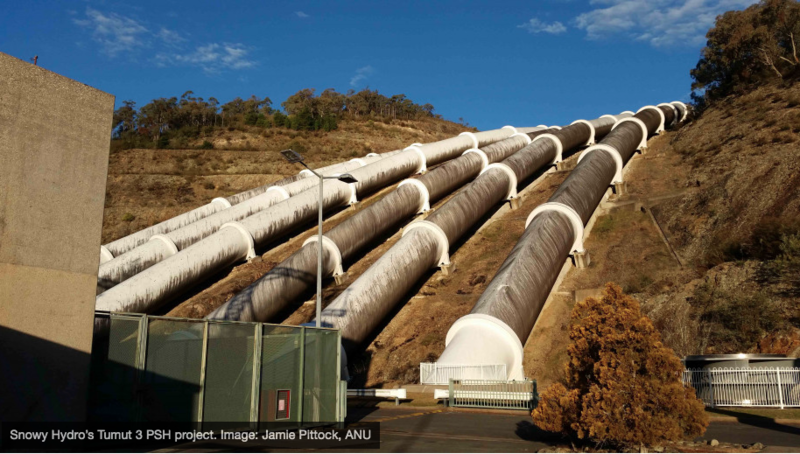 New pumped storage projects planned across Australia could triple the country’s electricity storage capacity, according to a new study by a researcher at The Australian National University (ANU). Professor Jamie Pittock says if the projects –planned across five states – go ahead, they will accelerate Australia’s transition to renewable energy. "We're talking about more than 20 projects being assessed or built. This would put us well on the way to having a national grid that could rely almost entirely on renewables," Professor Pittock said. "It's really a game changer. It destroys any argument that solar and wind can't provide the baseload power needed to keep the lights on in eastern Australia." Professor Pittock's paper outlines the environmental implications of pumped storage systems. He says it does throw up some unusual challenges. "A lot of people live in rural areas because they don't want to live next to a big industrial project, it might be a shock if somebody suddenly turns around and says they want to build a reservoir on top of the nearest mountain." A lot of high elevation areas that would otherwise be suitable have to be ruled out because of national parks or cultural sites. Other sites are too far from water or existing electricity transmission lines. Professor Pittock says the sites which could soon be home to new projects include everything from old quarries, to doubling existing pumped hydro schemes and a "green" steel mill. Pittock says despite the complexity, a number of the proposed sites are really promising, and more than enough to back up the grid. "Estimates are that we would need about 20 big PSH facilities to back up the entire national grid. It's partly a judgement call about how much risk you want to take in terms of the reliability of the electricity supply." The research has been published in Australian Environment Review.